Our mission is to become one of the Best Road Construction Companies in the Region and a company that its clients, employees and all other stakeholders are proud to be associated with. 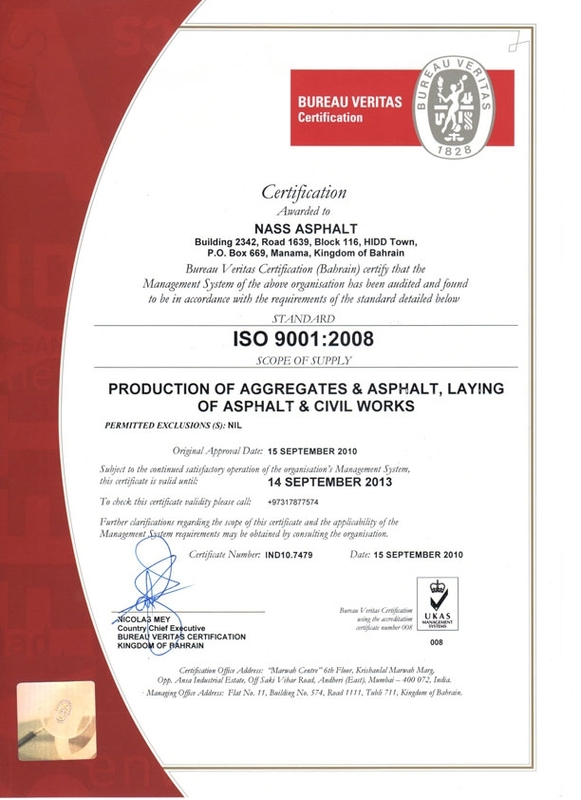 Starting in 2001, Nass Asphalt has established reputation in the Road Construction industry for competitiveness, quality and innovation. The Division participates in all levels of Project from car parks, tennis courts and residential roads, to major highways, airfields and industrial Infrastructures. Today, Nass Asphalt has developed a multi-faceted capability for road construction and its allied businesses with the supply of 200,000 tonnes of asphalt and 1,000,000 tonnes of crushed aggregates into the market per annum. The company has also developed a roads related civil business, which concentrates on the placing of sub-bases, kerbs, gulleys, manholes and drainage works and offers a wide spectrum of services varying from supply of specialized polymer and red asphalts to large boulders for rock protection works. Aligned with its mission to deliver innovative solutions, Nass Asphalt invests heavily in research and development. Our highly trained laboratory personnel conduct various studies in the Company’s custom designed laboratory in order to identify and solve multiple road-work related challenges while our production divisions use the latest Asphalt technology at their production units located in Hidd and Hafeera.